Skincare is something that most women pay close attention to, especially as they get older. 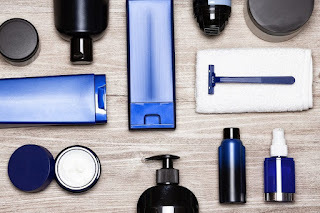 Often though, men don’t think about skincare as something that they should consider. But why? We all have the same skin, so there’s no reason why we shouldn’t all look after it. Skincare is important for a huge range of reasons, like preventing acne or redness, minimising the scary symptoms of ageing or even just for getting that ‘glow from within’ look that we all strive for. Why should the men in our lives miss out? 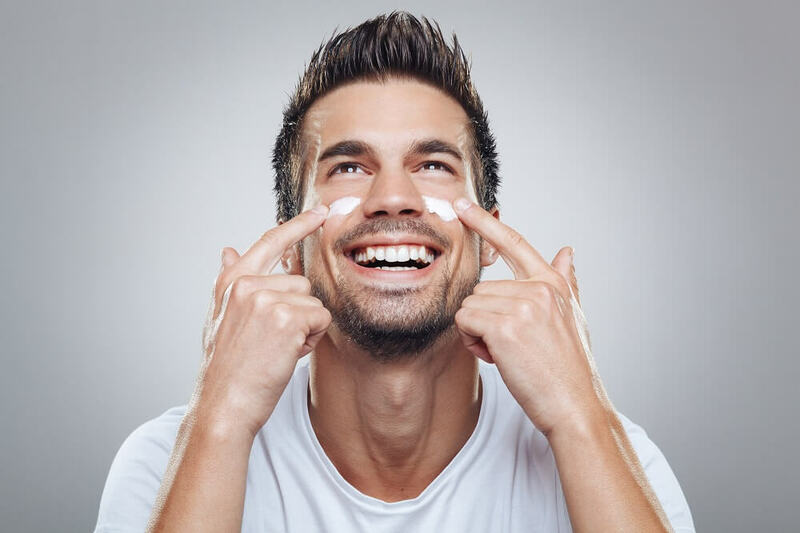 Let’s do our bit to break down the negative stigma of men taking care of themselves and have a look at some valuable and completely gender neutral skincare tips. The first main skincare tip, which some might consider obvious but not all, is cleanliness. You should be washing your face daily and even better, once at the start of the day and once at the end. Your face produces a natural oil called sebum during the night so it is important to wash this away in the morning. Having excess sebum on your skin can cause acne and no one wants to relive their spotty teenage years! Avoid at all costs. During the day your face will collect dirt and bacteria on its surface too, so getting rid of impurities before you go to bed is also essential. If you are a woman (or man) that tends to wear makeup during the day, removing makeup and washing your face regularly is even more important to avoid blocked pores. Moving on from general hygiene, it is a good idea to spend a bit more money on your skincare products, if you can afford to. It might be tempting to go for the cheaper products on the shelves but it is not worth the risk of damaging your skin’s health. The more expensive products tend to have nicer and more effective ingredients in them… Which leads us onto the next skincare tip - read the ingredients list! A product might look all lovely with aesthetically-pleasing packaging, but it could be hiding a number of nasties inside. Some toxic ingredients to look out for which tend to be hidden in skincare products are parabens, phthalates, fragrances and BHA’s. For men (and women) this tip extends to your facial shaving routine. Be prepared to spend a few more pennies on good quality razors and facial hair products to get the results that you want. There’s no good opting for cheap razors and then being shocked when your skin ends up suffering. The English Shaving Company sell high-quality men’s shaving products so you can rest easy knowing that your skin is really being looked after while you shave! They also offer a range of shaving after-care products and men's skincare, including face washes, exfoliators and moisturisers - all essentials for a skincare routine! Exfoliation is another skincare step worth incorporating into your daily routine, for both men and women. This should be done once you have cleansed your face to remove any dead skin cells that are stuck to the skin and help to unclog your pores. Depending on how sensitive your skin tends to be, this shouldn’t be done every day as it will cause irritation and potential damage. It is also very important to check the ingredients with this product, as the exfoliating ingredient in some of the cheaper brands tends to do far more harm than good to the skin and the environment. This step is one that men and women should really prioritise, especially in the colder months - so basically every month in England! Moisturise. Our day to day lives tend to involve a lot of moving around, going in and out, so our skin is exposed to a number of different environments. More often than not this dries our skin out. So, get yourself a good quality, reputable moisturiser to use twice a day or whenever you feel is necessary. Making sure your skin gets plenty of moisture will combat any skin dullness and help to achieve the glowy look that we all dream of - no, unfortunately, this does not come naturally. Last but not least of the gender-neutral pieces of skincare advice is to protect your skin from UV rays. You might be thinking, ‘but it’s never sunny in England’ and yes, you are right, but the rays from the sun are still there to an extent. Using sun protection on a daily basis will work wonders and prevent any of the sad effects of ageing from cropping up. So, if you want to keep those pesky wrinkles and lines at bay, try this tip. Even if you are still young, starting early with sun protection is equally as important, and you will seriously thank yourself in the future.